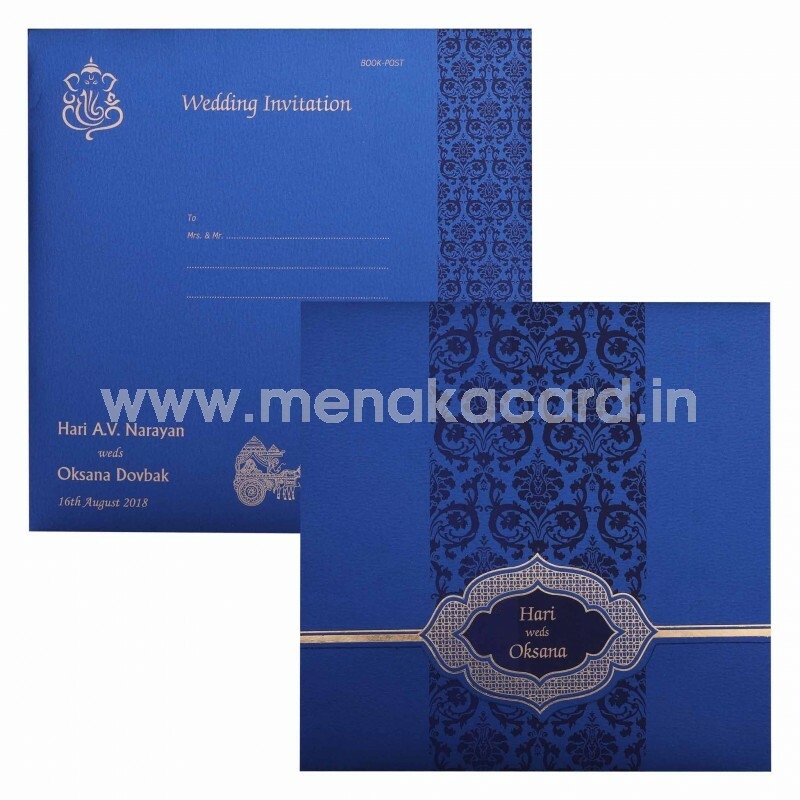 This pretty blue printed texture laptop folding ing card is decorated on the front with a refined floral damask strip down the middle in a deep royal blue. 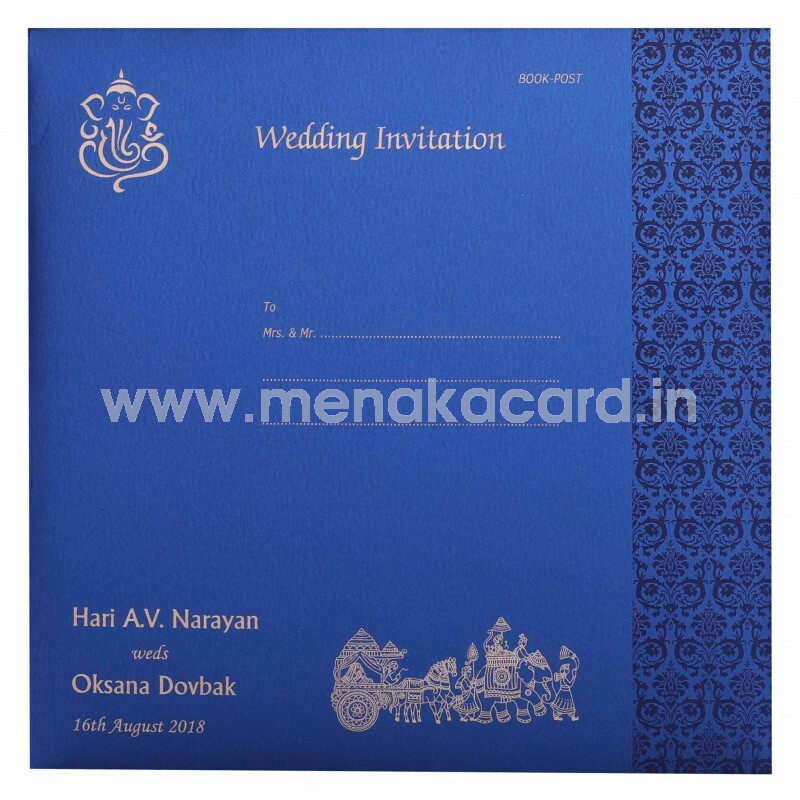 The front flap has an ornate traditional lattice pattern frame with a matching die-cut profile printed into the card in rich gold foil. This frame contains the names of the couple. The cardholder flap of this card contains two inserts with contrasting blue text, made from a delicate off-white shimmer board. 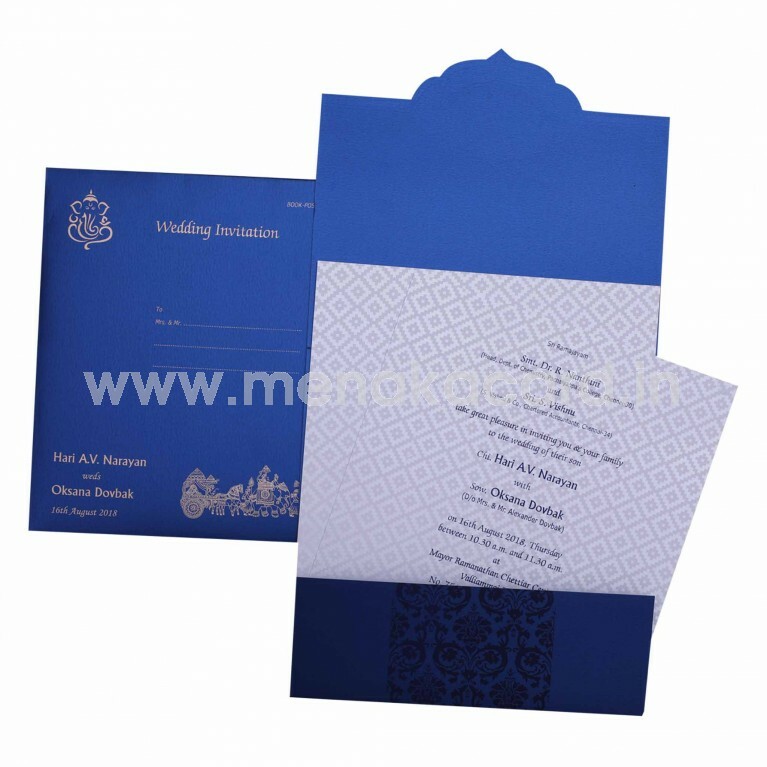 The envelope is also made from the same shimmery metallic shimmer board and has the damask pattern as a border on the right and a delicate bhaarat motif printed in gold ink of the front of the card. This can be used for Hindu weddings, receptions and engagements as well as Christian and Muslim weddings.